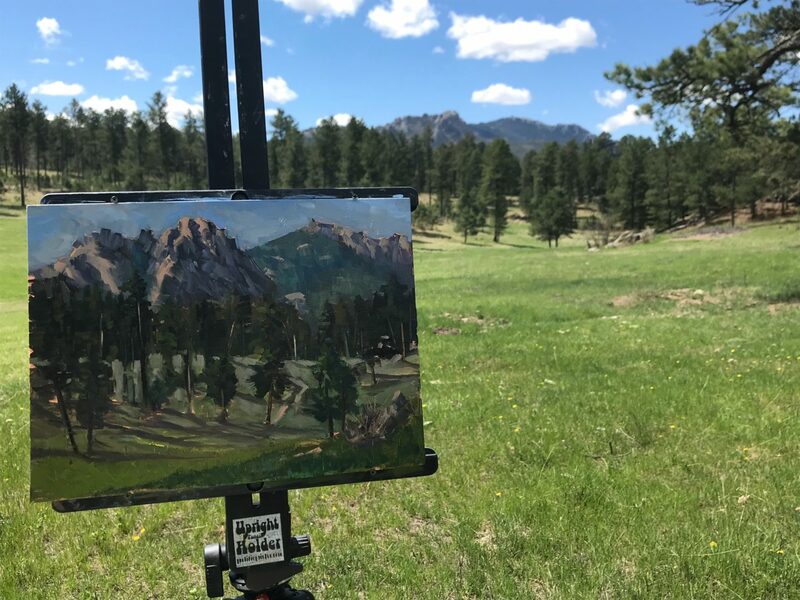 If you love the beauty of the Black Hills, you won’t want to miss a chance to take home one-of-a-kind artwork painted on-site in the Black Hills! Watch artists painting live in action at various locations! View all of the work painted by the artists each day at the Hill City Senior Center! Artists will meet at Sylvan Lake to paint this iconic landscape throughout the day. Meander your way along the trails to see the artists set up and painting live! Nocturne painting Keep your eyes open for Black Hills Plein Air artists painting at night! After dusk, the artists will be out painting the beautiful night scenes the Black Hills has to offer. 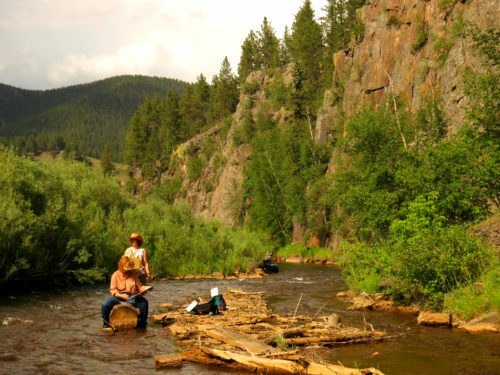 Artists will paint around the Hills and Custer State Park area. View the paintings created from the day before at the Senior Center from 8 am.-4 p.m.
Gallery Walk. Beginning at 5:00 p.m., downtown Hill City will host a gallery walk by Hill City’s galleries, showing original artwork by regional artists. Here are the participating galleries! Pick up an Entry Card at any of the participating galleries. Visit each gallery to get your Entry Card stamped. All participating galleries must be on the card to be eligible for the prize. Visitors will have until 7:30 to place their stamped entry card into a receptacle at Warrior’s Work. Here’s our suggested route! Insideout – Start Here! Enjoy a S’More and pick up your Entry Card. Then stroll Main Street to visit galleries and watch plein air artists paint “Nocturne” in Hill City. Warrior’s Work & Ben West Gallery – End Here! Your final party destination where artists will gather, we’ll talk about Plein Air painting and draw for the door prize– must be present to win. Nocturne Painting. During the gallery walk and continuing into the night, artists will be challenged to paint night scenes of downtown Hill City. View the paintings created from the first 2 days at the Senior Center from 8 am.-4 p.m.
Artists’ Reception. Between 6:30- 8:30 p.m., meet the artists at the Hill City Senior Center and see all of the artwork painted on-site in the Black Hills from the past 3 days! This is your chance to vote for your favorite scene of the Black Hills! Votes will be collected and tallied at the reception to decide the People’s Choice award. Awards At 7:30 p.m. artist awards will be announced, including Best of Show, People’s Choice, Honorable Mention and Best Nocturne. View all of the paintings created during the entire event at the Senior Center from 8 am.-4 p.m. Today is your last chance to take home your favorite! Quick Draw and Auction. 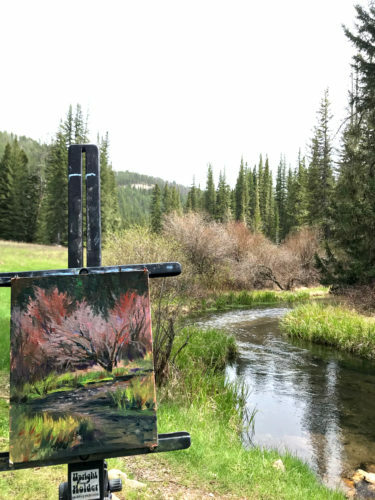 Between 9:30 and 11:30 a.m. in downtown Hill City, artists have only two hours to capture a scene and create a finished painting. One artist will be awarded the prize for the the Best Quick Draw. The artworks created during this event will be auctioned off immediately afterward on Main Street downtown, with proceeds going to the Hill City Club for Boys and Girls. Hosted by: Artists of the Black Hills and Hill City Arts Council with support from the SouthDakota ArtsCouncil. 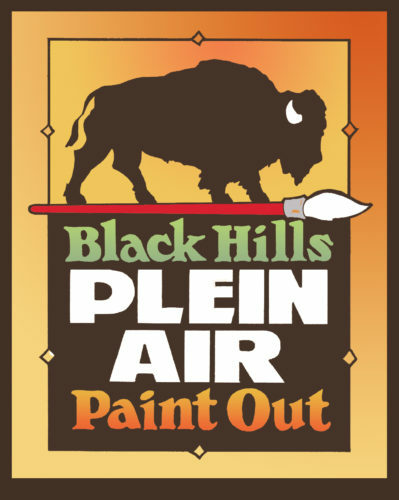 Thank you to last year’s generous Black Hills Plein Air Paint out Sponsors! Contact us to become a 2019 Black Hills Plein Air Paint Out Sponsor! If you are interested in being a participating artist, follow the instructions below! Print and complete the form. 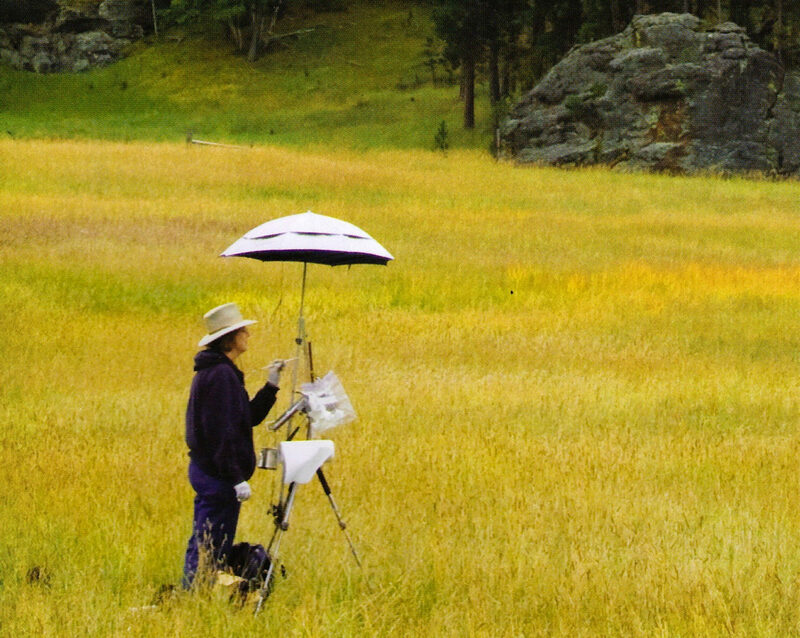 The Black Hills Plein Air Paint-Out is organized by the Artists of the Black Hills and the Hill City Arts Council. commercial entities to foster greater growth and appreciation of the Black Hills as an art center.